Carrie Underwood’s 2005 country music hit, “Jesus Take The Wheel!”, resonated with a lot of people. There are times when we all want to throw up our hands and say, I give up, God, you take over. Yet, when we finally give up trying to do things our own way, sometimes we want to try to take control back. In today’s reading from Acts, Gamaliel, a leader of the religious establishment, advised the council to allow God’s will. In other words, let the Lord take the wheel of what would happen next. Gamaliel was convinced that if Jesus’ disciples were doing God’s will, then the council should not prevent it. 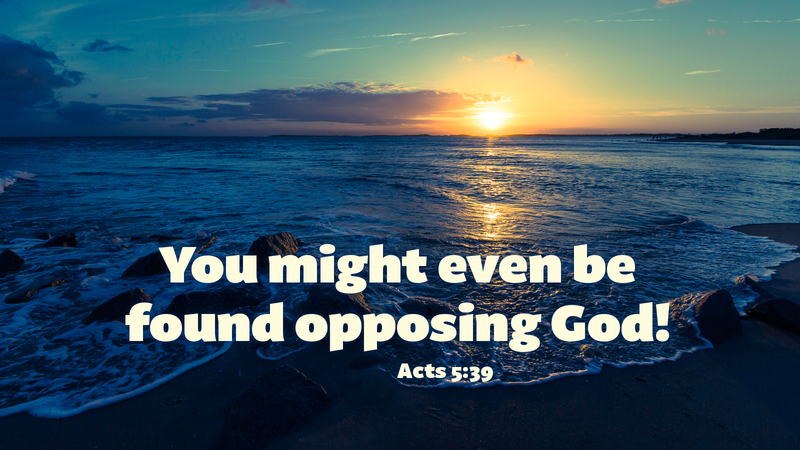 Otherwise they might be opposing God. Many times we try to manipulate things our own way, when in fact we need to let God have control. It is time we take this lesson from Scripture and apply it to our own lives. We need to turn everything over to God in prayer. As Elijah heard “the sound of a low whisper” when he heard God speaking on the mountain, we too need to be still and let God speak to us so we can do his will. Prayer: Father God, help me to understand that I am not in control, that I may rely on your wisdom. Amen.